Curious, will there be events that go out on the mailing list that are not featured on the blog? Good question, Paul. That has not been the case in the past, but it could be in the future. Will there be any Branca Mentha in attendance? Unfortunately I’ll be out of town on the 5th. Would love to attend, as I go through periods of Fernet obsession from time to time. Speaking of which, a general amari tasting event would be fab. 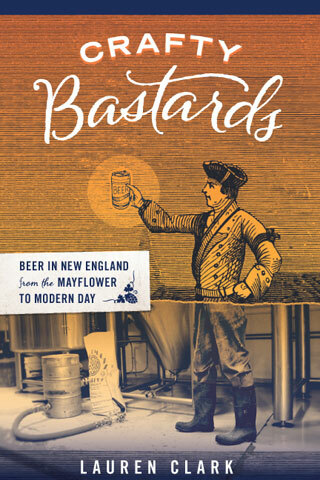 I have so much to learn about them, and would love a tour in that universe without having to slog through bottle by bottle. Averna is a syrupy, caramel-laden letdown; Lucano and Nardini are more interesting but no wow factor similar to Fernet Branca. Very interesting genre, this. robmarais, aside from Fernet they’re all rather syrupy (at least, all I’ve found so far). I personally find Averna to be a bit more complex than Lucano, though I have to say I like them both. Actually, I haven’t met one yet that I didn’t enjoy. My current favorites are Amaro Mio and Amaro Nonino–both dangerously smooth. The Nonino might be a good bet for you if you’re willing to try another bottle–it’s a bit drier than most (but still quite sweet) and has a fairly complex profile (but still nowhere near Fernet in terms of raw power). I’ll have to hit up Cirace’s in the North End for more amari, and I’ll take your suggestion re Nonino. still mildly curious about others in the stronger set. BTW Cirace’s also seems to have every kind of grappa known to humankind, I’ve barely scratched the surface re that spirit but Cirace’s seems like a great place to learn. 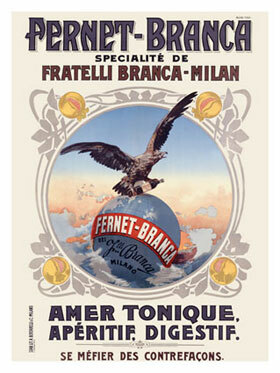 Hey, Adam & Rob: As far as I know, the focus is on Fernet Branca only, not Branca Menta. An amari tasting sounds like a fabulous idea — and a good excuse to do an event in the North End! eas, oh my! And they got the ominous tone just right on the cover.